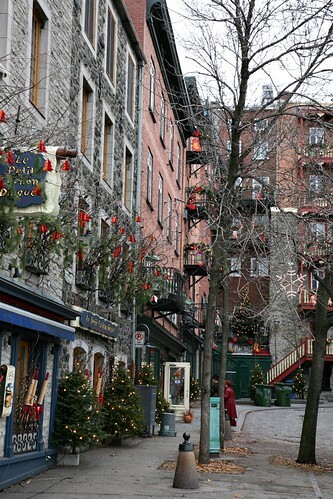 "Rue du Petit-Champlain" - In 1608, this area was a portside village lined with fur traders' shops and merchants' mansions. 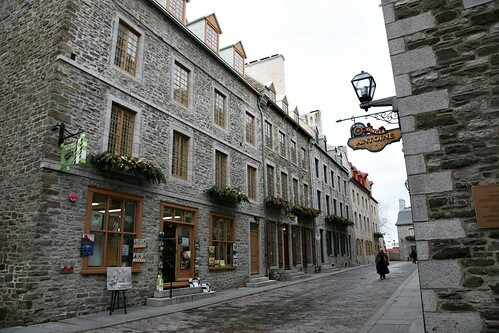 Today, mostly souvenir shops and quaint bistros line the pedestrian cobblestone street, with a few fur stores and art galleries scattered around. 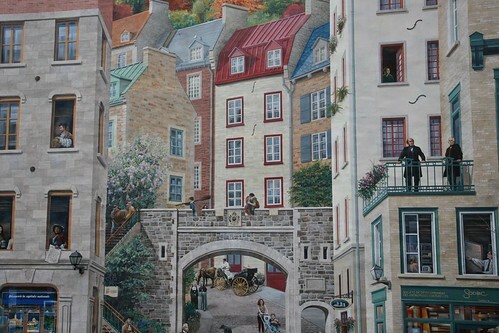 "The Mural of Quebecers" - This trompe-l'oeil style mural tells the origins of this 400-year-old district. 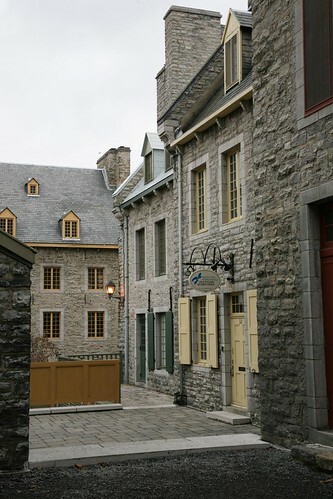 Many maritime-inspired stone buildings face the port area around Rue Dalhousie. 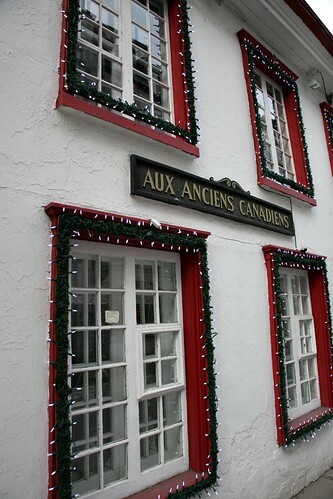 There are a number of canons surrounding the lower port, guarding the mouth of the St. Lawrence River in ancient times. 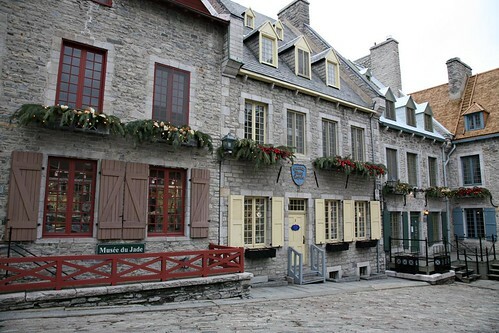 Some of the fortified buildings are now converted to restaurants with patios facing the river. 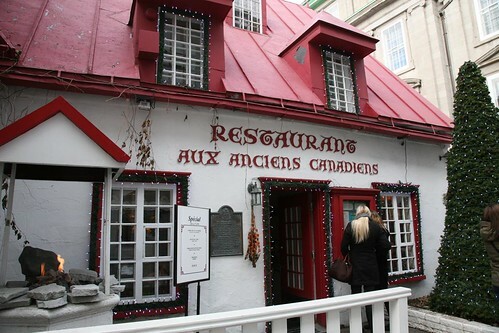 "Place-Royal" - In 1608 when Samuel de Champlain discovered what we know today as Quebec City, he built the first settlement of New France here at the foot of Cap Diamant and called it Place du Marché. 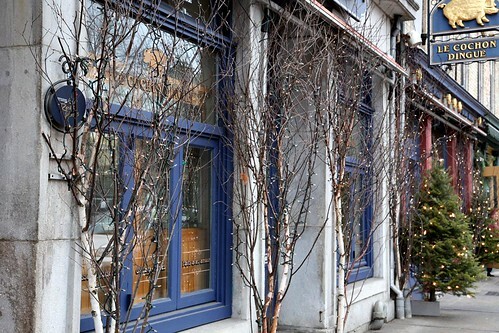 In 1686, a bust of Louis XIV (the Sun King) was erected in the middle of the square and Place du Marché was renamed Place-Royal. 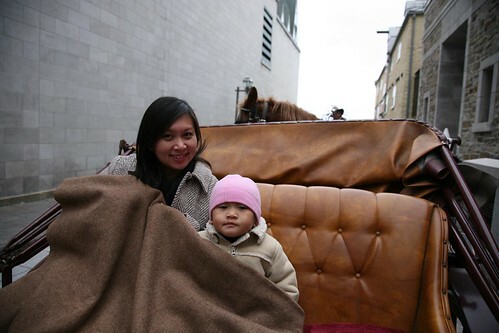 It subsequently became the trading hub for merchant ship owners and shipbuilders under the English Regime. 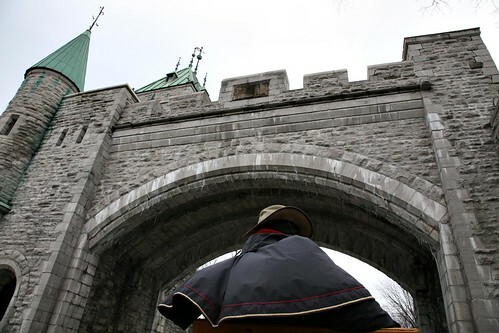 "Le Chateau Frontenac" - In 1620, Samuel de Champlain built a bastion on top of Cap Diamant. 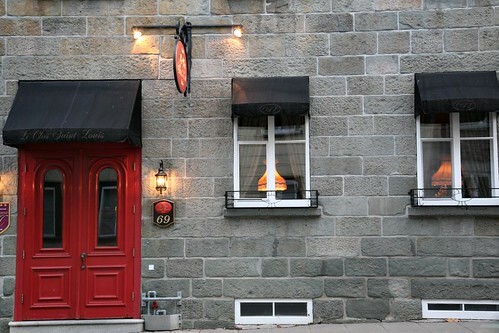 In 1784, it became the Chateau Haldimand, serving as the residence of the Governors of the British Colony. 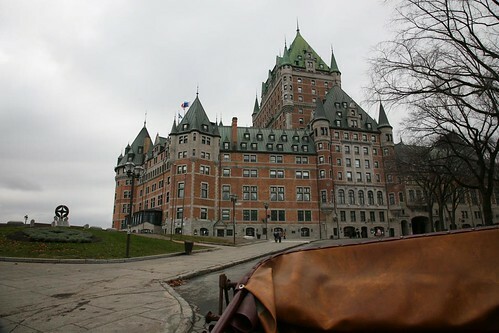 In 1892, the chateau was purchased by tycoons of the Pacific Railway and transformed into a first-class hotel, Chateau Frontenac. 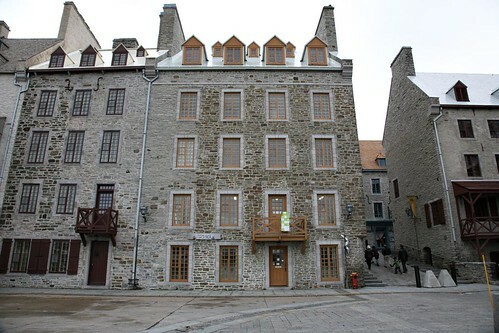 The hotel was named after Louis de Buade Comte de Palluau et de Frontenac, Governor of New France in the late 17th century. 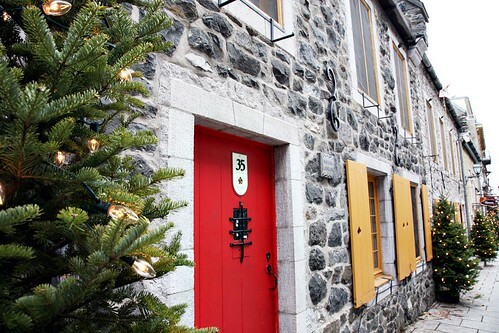 "Maison Jacquet" - Built in 1675-1676, it is the oldest house in Quebec. 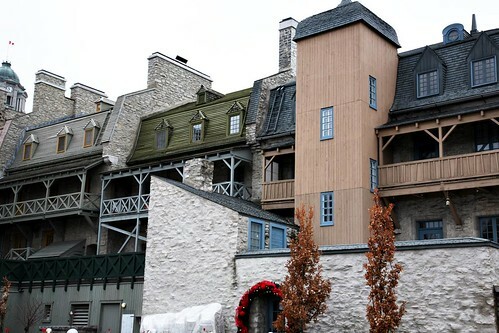 It was constructed with thick stone walls, solid joints, superb wainscoting, and recessed cupboards. 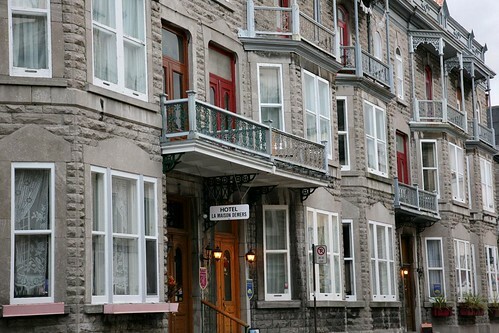 Several prominent figures have resided here, including Philippe Aubert de Gaspé, author of "Les Anciens Canadiens". 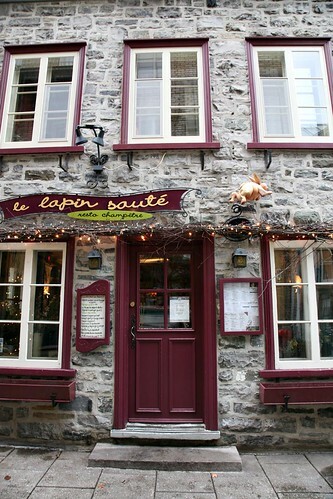 Since 1966, the house has been converted to a restaurant. 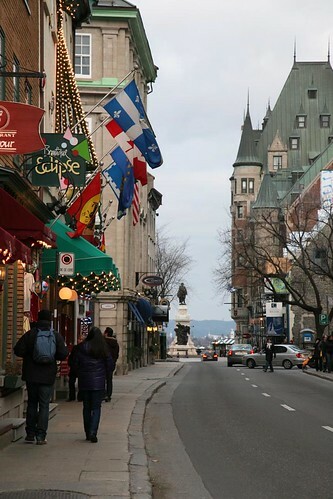 "Rue Saint-Louis" - Numerous tourist hotels and restaurants line Rue Saint-Louis, from Porte Saint-Louis all the way to Chateau Frontenac and the Dufferin Terrace. 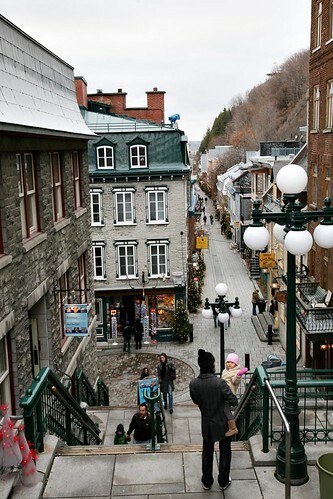 "Porte Saint-Louis" - the gateway between the old and the new city. 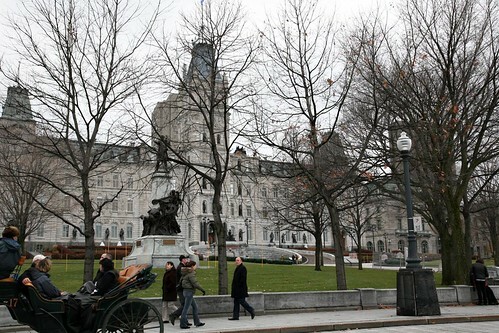 "Hôtel du Parlement" - Built between 1877-1886, it now houses the National Assembly. Guided tours into the National Assembly Chamber, Legislative Council Chamber and Speakers' Gallery are available.